ABC has 3 clinics on-site which cater to the medical needs of your children. 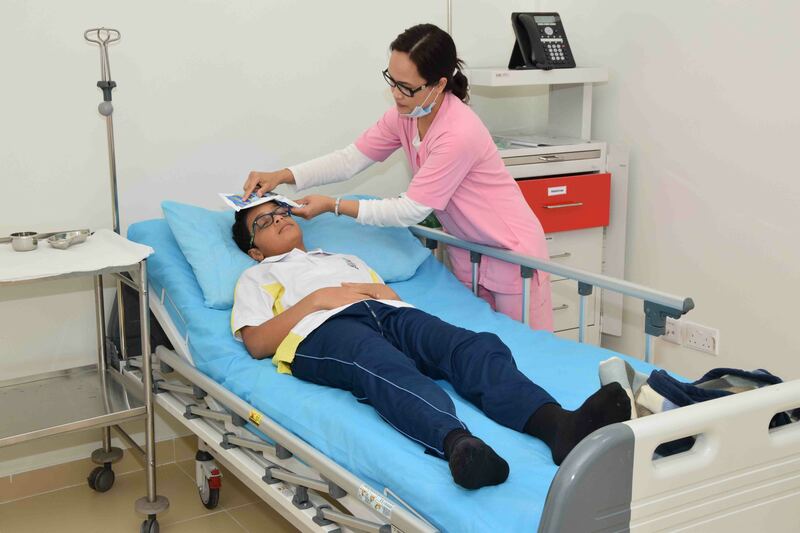 The highly qualified and well-trained nurses are always available to attend to any medical issues, minor or serious, that may arise during school hours. Parents can rest assured that their sons and daughters are being well-looked after by professionals. If you are sending a lunchbox for your child, you must ensure that it consists of healthy and nutritious snacks. A healthy lunch keeps active kids alert and focused and gives them the nutrition they need every day. But no matter how healthy your child’s lunch box is, it won’t provide any nutritional value if it doesn’t get eaten!